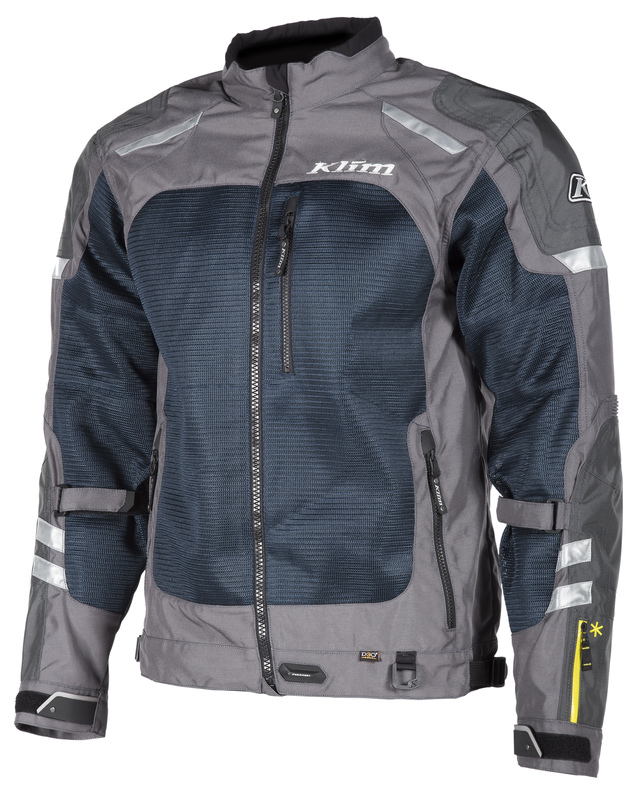 The mesh jackets INDUCTION and APEX AIR by KLIM will take you “cool” through the summer, without compromising your safety! The ideal motorbike clothing for summer, with extreme ventilation, without compromising your safety? How is that possible? The secret recipe is called KLIM KARBONITE MESH™: a breathable, extremely robust carbon/nylon net fabric. It is abrasion-resistant, doesn’t tear, and is 750 % more robust than conventional materials. The net fabric enables an airflow, thus ensuring optimal ventilation, yet the protective factor is preserved! Are you looking for functionality and premium quality with a low weight? Then the Induction jacket by KLIM is just right. It provides all a motorcyclist needs! Including D30 protectors for the back, shoulder and elbow, the jacket weighs less than 2.5 kg. The Apex Air jacket reaches the next level. A convertible premium touring jacket for daytrips, right into the evening! Within seconds the touring jacket can be converted into a completely ventilated summer jacket! APEX Air ZIP Down Ventilation: Simply open the vents in the chest and back area, enjoy the direct and extensive ventilation through the net fabric, regulate it yourself and close it if you need to! A completely ventilated summer jacket, equipped with high-quality leather and top-class D3O protectors! Extremely effective ventilation, without compromising your safety! INDUCTION & APEX Air – the motorbike clothing for summer!